Is it merely coincidence that the (dark blue) Commonwealth Fund states in which women are most likely to forgo care appear to be an overlay of the Jim Crowe South with states that have large Hispanic populations? Or that they are agricultural states? Or that they are located in the Bible belt? The interactive map raises more questions than it answers for me. But it makes one thing very clear. 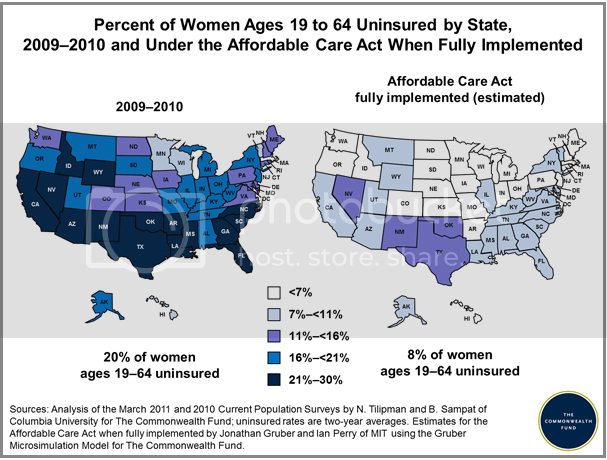 Implementing the ACA and its Medicaid expansion will help lift women out of poverty in New Mexico.